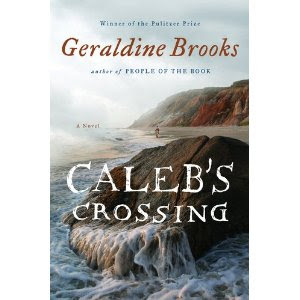 Caleb's Crossing was written by Geraldine Brooks. I'm excited to say that I read this book for the new BlogHer Book Club. You can find out what I thought about Caleb's Crossing by visiting my book review that is posted on Blogher! I would have shared my thoughts sooner... but I just realized today that my review had been published over a week ago. Eek!